President Crow on accelerator: "One more example of another way we’re engaging." Technology will be the equalizer, making education accessible to all, Crow says. Arizona State University is launching a new initiative that will help get education technology to the market faster by allowing new ventures to be tested by students and faculty. The initiative — the ASU Draper GSV Accelerator — will source, fund, pilot and credential new products created by higher-education technology companies. ASU President Michael Crow said that although the core mission of universities will never change, technology will be the equalizer, making valuable education available to everyone. “Why do we have this imperative of innovation in higher education? This is an underperforming sector, driven and predicted largely based on family income,” Crow said Wednesday in his keynote address at the ASU GSV Summit, an education-technology conference in San Diego. The new alliance was announced at the summit Wednesday. “This is a social issue not yet resolved. It’s like we live in two separate countries,” Crow said of the lower college-attainment rates of low-income families. Crow said that ASU has constantly worked on innovative ways to widen access to higher education. He cited the reimagining of ASU’s engineering college eight years ago, which led to more students with more diversity in demographics, a higher retention rate and an improved graduation rate. Two recent technology-driven innovations are the Starbucks College Achievement Plan, which allows Starbucks employees to earn full tuition reimbursement as they pursue online degrees, and the Global Freshman Academy, which offers free online classes in cooperation with edX that students can complete before deciding whether to pay for credit. Crow said the Global Freshman Academy courses have drawn more than 100,000 students from 192 countries. “That’s a whole new way for us to affect the college-going rate, the college-success rate and to break down barriers, break down gaps,” he said. “This is just one more example of another way we’re engaging,” Crow said of the ASU Draper GSV Accelerator. “We’re going to bring everyone together on prototyping technology,” he said, noting that ASU has 72,000 face-to-face students, 20,000 online-immersion students and more than 100,000 other learners. The first company accepted into the project is CampusLogic, a firm based in Gilbert, Arizona, that has developed a personalized, cloud-based tool to simplify the financial aid process. Four more companies will be accepted by Aug. 1. “We’re very excited to partner with ASU as we build our innovative products,” said Gregg Scoresby, CEO of CampusLogic. Companies that successfully complete the highly selective program will receive a certification of market-preparedness — signifying to colleges and universities that their products are ready to use. ASU will offer access to its campus and faculty in collaboration with Arizona Technology Enterprises, the university’s intellectual property management and technology transfer organization. The other partners are Draper Associates, a California-based venture capital firm, and GSV, a consortium of education-technology investors. “ASU is a true innovator — ranked the number one innovator in the nation — and an ideal partner to work with to help transform education," said Tim Draper, founder and managing partner of Draper Associates. Companies that are accepted into the accelerator will receive training and mentorship through Draper University, an entrepreneurial boot camp in Silicon Valley, and the ASU, Draper and GSV network of experts. The ASU Draper GSV Accelerator is ideal for companies whose product is nearing commercialization, but any venture that has received seed funding or beyond is qualified to apply. The program will offer demo events, featured space at the annual ASU GSV Summit and, potentially, workspace in ASU’s SkySong innovation center in Scottsdale. There is no geographic restriction, and relocation is not required. To learn more about the ASU Draper GSV Accelerator, visit EdTechAccel.com. Applications to join the program will be available on the site May 1. 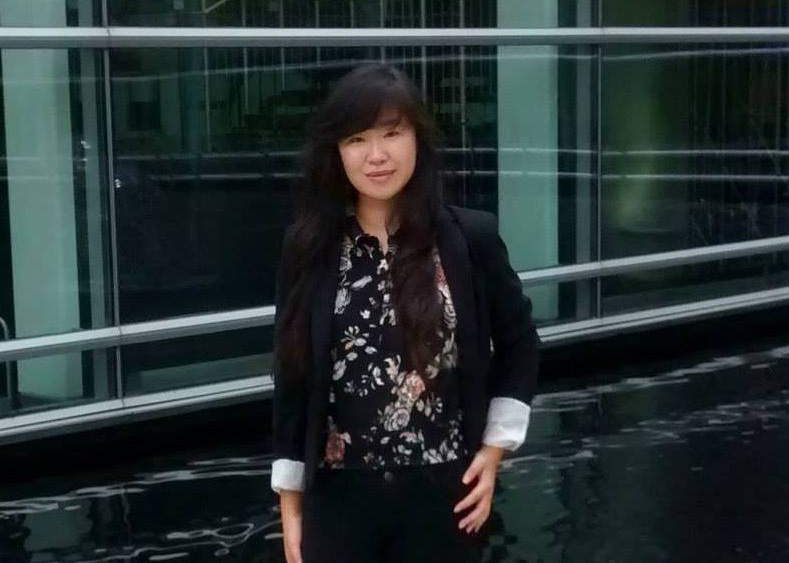 Although Arizona State University student Jenny Ung is pursuing three majors — political science, journalism and mass communications, and Asia studies — that hasn't stopped her from also gaining valuable experience outside the classroom. The McCain Institute Policy Design Studio, through the School of Politics and Global Studies, allows students to live and intern in Washington, D.C., for the semester and study how policy is made. Students gain valuable skills and hands-on work experience as well as research solutions to real-world foreign-policy issues in a weekly seminar. Ung plans on applying to be a Fulbright scholar. If selected, she would complete the fellowship overseas after graduation and will plan on going to graduate school next, focusing on international journalism or political journalism. Ung aspires for a career at a news organization while working her way to becoming a foreign correspondent.